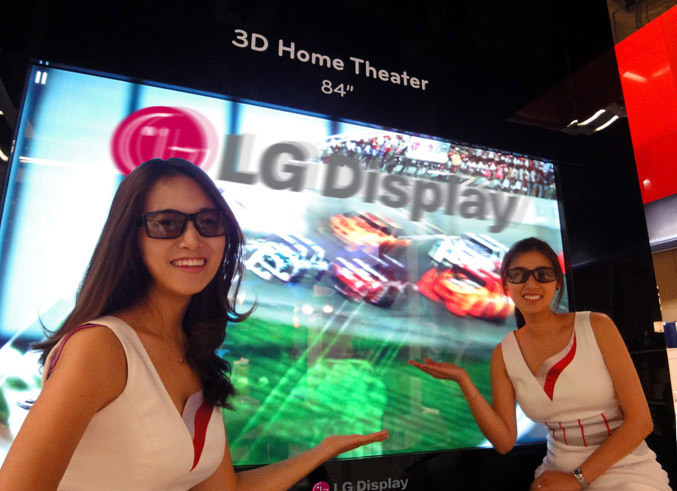 At SID 2010 Washington, during May 25~27, LG will show the world’s largest 84-inch UHD (ultra high definition) 3D panel with 3840X2160 resolution as well and extensive lineup of LCD products. Other products include, a 47-inch 3D TV LCD for use with polarized glasses that dramatically reduces crosstalk to less than 1 percent, 47-inch TV panel that uses a liquid lens to eliminate the need for 3D glasses will be on display. LG Display also plans to promote the advantages of panels that feature IPS(In-plane switching) technology by installing a separate ‘IPS Zone’ within its booth. The zone will feature a 240Hz 47-inch LCD TV with 3ms MPRT (motion picture response time); a high-end, high-resolution 32-inch monitor for the broadcasting industry; a 9.7-inch smartbook product utilizing AH-IPS technology; and a 3.98-inch UHD mobile high resolution (394 PPI) LCD panel that harnesses the world’s leading super high resolution panel technology. LG also plans to demonstrate the full HD 21.5-inch optical touch LCD panel for monitors that offer both the advantages of capacitive touch technology, a 13.3-inch on-cell touch type LCD panel and a 3-inch OLED panel, also will present the world’s thinnest TV panel which measures just 2.6mm in thickness, 10.1-inch curved LCD with slim glass, a 15.6-inch notebook LCD product that realizes the world’s lowest power consumption levels; a 9.7-inch color e-paper display scheduled to begin mass production within the year; and a 19-inch flexible e-paper.